Utility transmission poles and utility substation structures are an important part of an electrical generation, transmission and distribution system. Maico Industries has the capacity and equipment to manufacture utility transmission poles and utility substation structures. 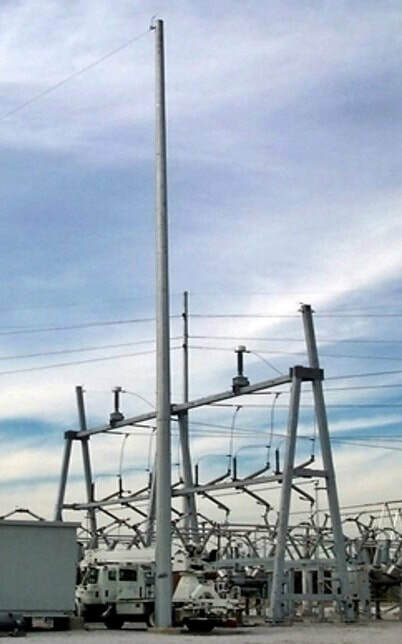 We manufacture utility transmission poles and towers for all terrains, environments and conditions. ​Utility substation structures will be designed, manufactured and delivered on time by our experienced engineers and steel pole manufacturing employees. In 2017, Hurricane Maria caused widespread devastation in Puerto Rico. Maico Industries produced approximately 2,000 poles over a three month period of time. All poles were delivered on time to the port. for Puerto Rico after Hurricane Maria hit in 2017. Large utility transmission poles are becoming more prevalent in many countries because of their ability to handle the elements of weather and high speed winds. Do you have a utility pole project? We would like to hear from you!